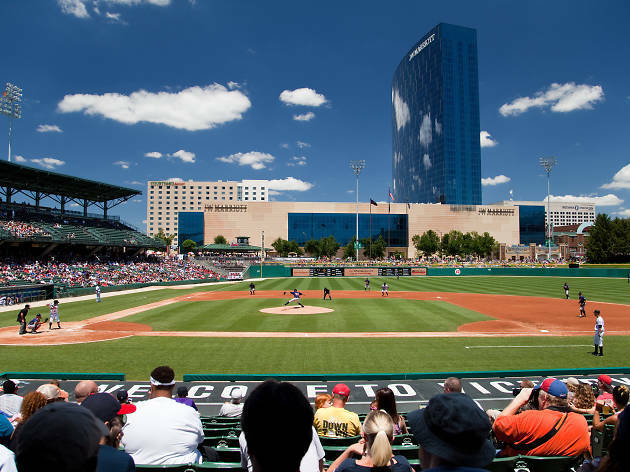 Indiana’s capital city boasts plenty of things to do: amazing breweries, major league sports, great restaurants and a sprawling zoo. 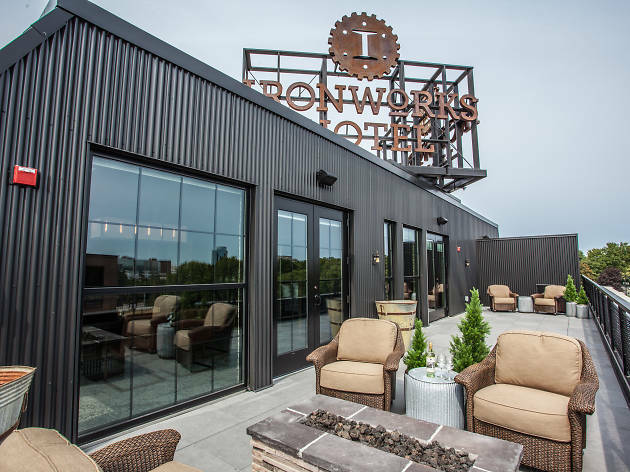 The attractions in Indy are comparable to much larger cities, but you won’t have to spend quite as much to enjoy them—the best hotels in the city won’t put too big a dent in your wallet. Book a stay in a modern boutique hotel or luxurious chain, then take the money you save and spend it on exploring all the city has to offer. 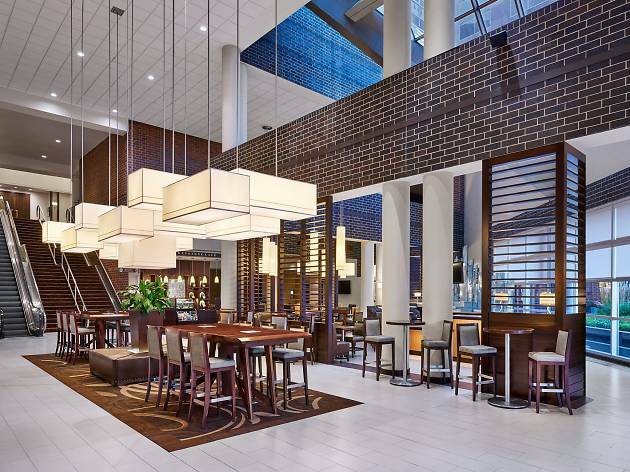 You can’t miss the JW Marriott Indianapolis—the sleek, 33-story hotel towers over the surrounding buildings. 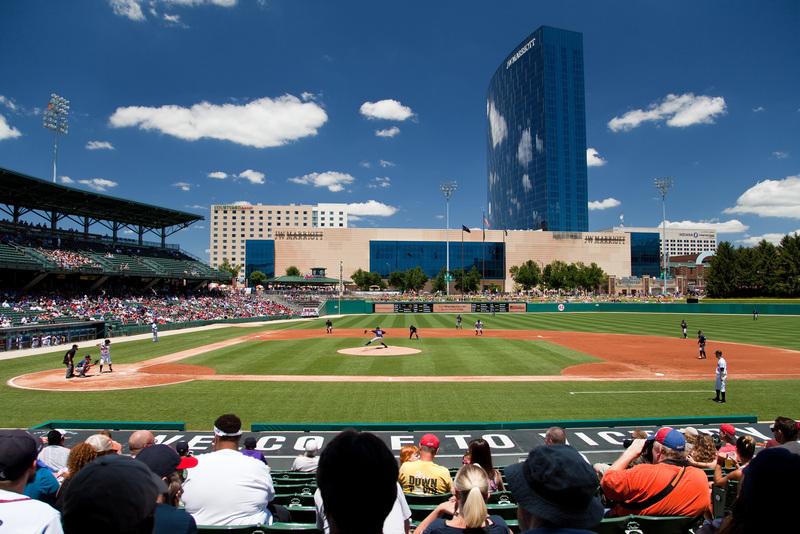 Inside, 1,005 rooms offer gorgeous views of the city, including nearby destinations like the Indiana Convention Center, Circle Centre Mall, Victory Field and Lucas Oil Stadium. 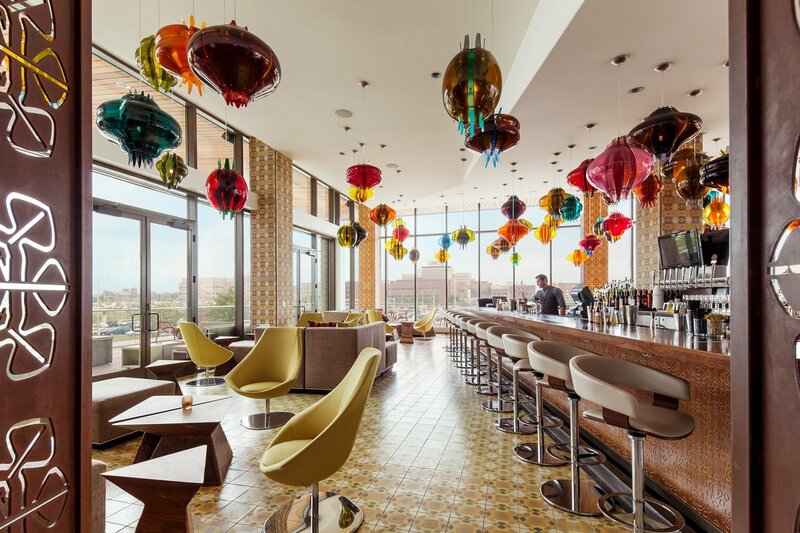 When you're not spending time in your room, you'll be able to enjoy craft beer at the hotel's High Velocity Bar or sample the Italian cuisine at the lobby-adjacent fine-dining restaurant Osteria Pronto. If staying within walking distance of a Buca di Beppo and a shopping mall is a priority, Conrad Indianapolis is a hotel in the thick of it all. 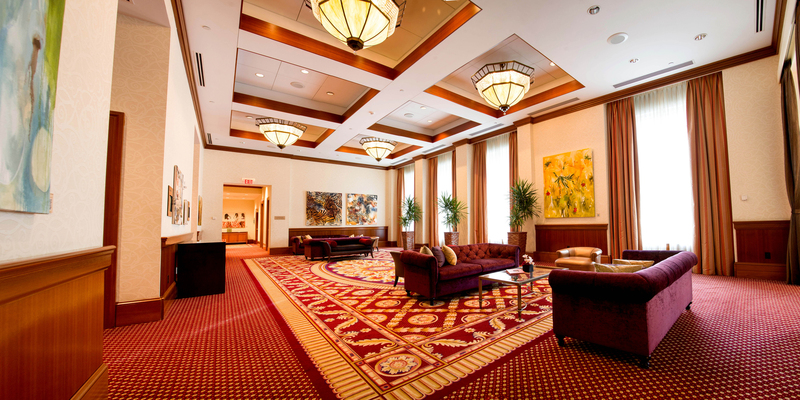 Located in the middle of Mile Square in downtown Indy, this hotel boasts its own fine art gallery (with works by Picasso and Warhol), a spa and a bar that focuses on wines by the taste. Art-lovers should spring for one of the Conrad's themed suites, with decor inspired by Pop Art, Contemporary Art and Surrealism. 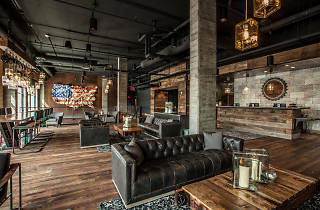 Inspired by the industrial revolution, this northside boutique hotel is decorated with pipes, wooden beams and exposed metal that will make you feel like you're staying in a luxurious factory. Rooms come with amenities like leather sleeper sofas and spa-inspired showers. If you're hungry, head downstairs for a meal at the on-site restaurant, Provision, or take a trip to the nearby Fashion Mall at Keystone where you'll find even more dining (and shopping) options. 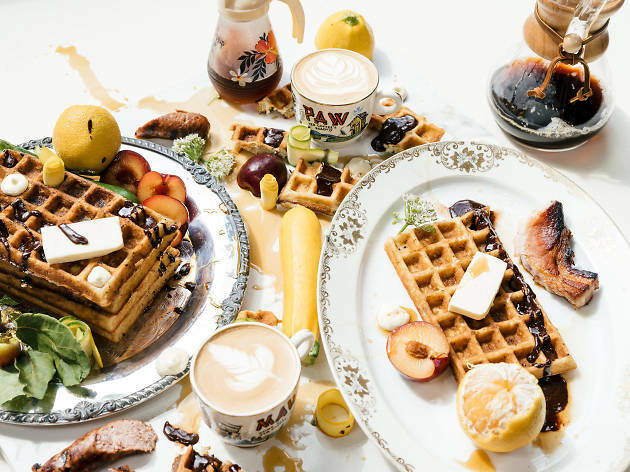 Brunch fanatics will want to check in to the Alexander, if only because of its proximity to Milktooth, the acclaimed modern diner in Fletcher Place that serves dishes like sorghum-glazed bacon and sourdough lemon poppyseed waffles. 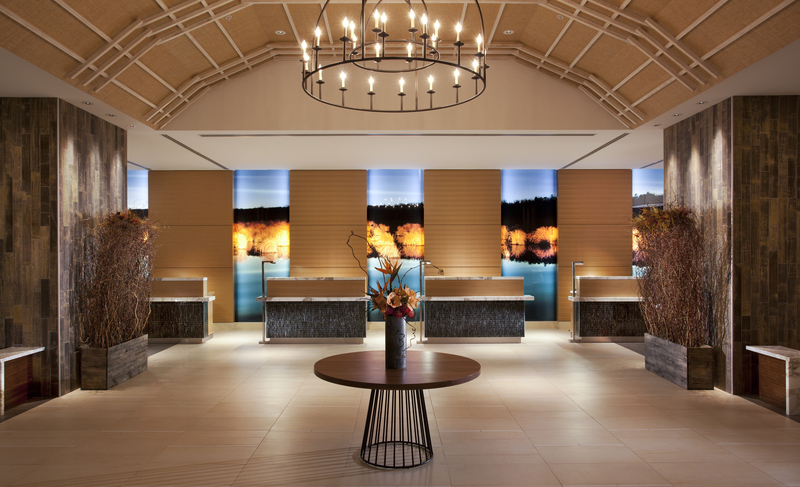 After you chow down, rest easy in the hotel's stylish rooms, outfitted with vibrant artwork and sleek modern furniture. 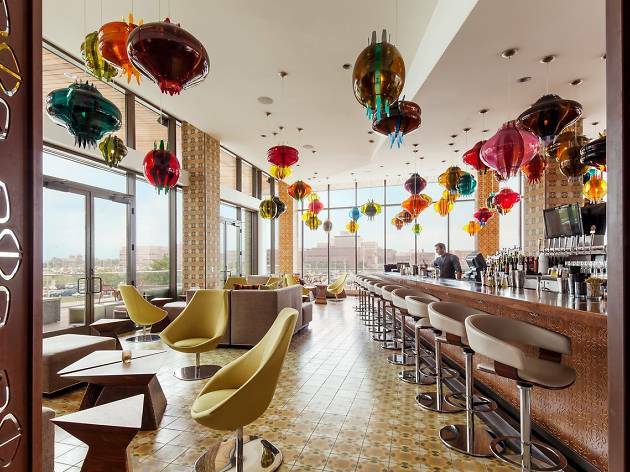 Make sure to get a nightcap at Plat 99, a "mixology lounge" where you can sip cocktails amid a sea of hanging glass sculptures. 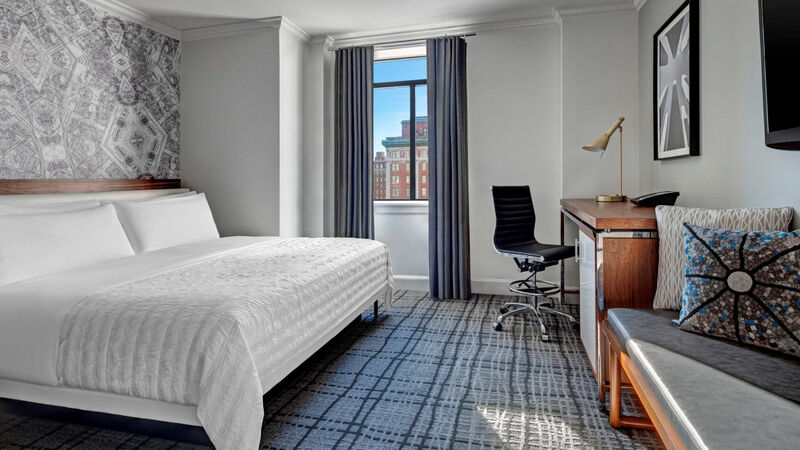 Located near the Indiana Convention Center and Lucas Oil Stadium, Le Méridien is a decidedly modern hotel in downtown Indianapolis that doesn't skimp on the amenities. 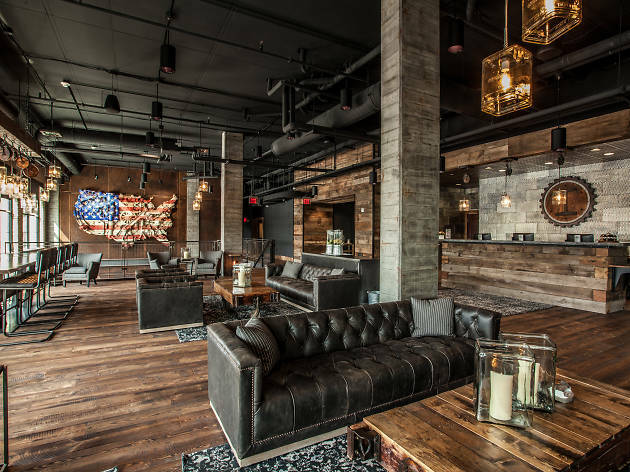 Inside, you'll find a lobby with a curated library of books for guest to borrow, a complimentary fitness center and a restaurant (Spoke & Steele) complete with a bar that specializes in bourbon-based drinks. 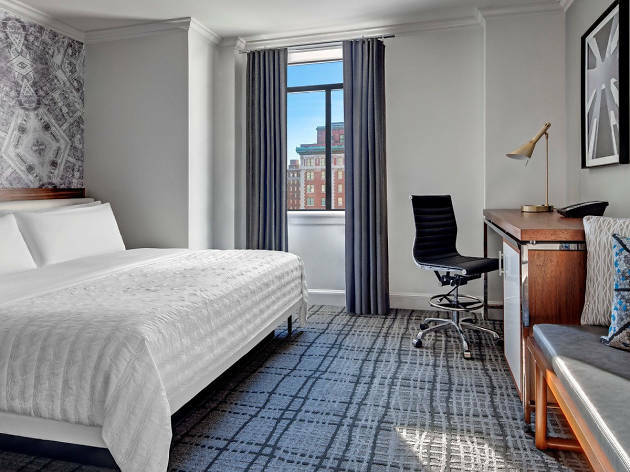 Guest rooms are lush and tastefully decorated, but you'll probably be tempted to venture outside by the nearby Circle Centre Mall (or the Steak and Shake across the street). 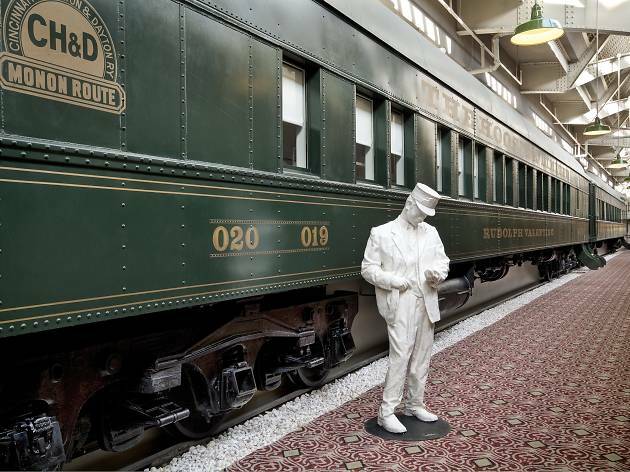 When Indianapolis’ Union Station opened in 1853, you could catch a train to destinations throughout the United States. Now, a portion of the station houses the Crowne Plaza, which integrates much of the building's original architecture into its nostalgic floor plan. 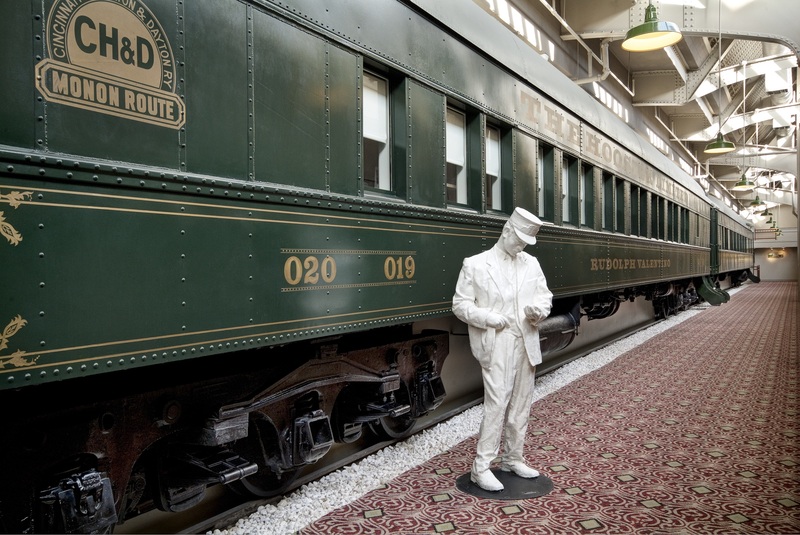 The station's ornate Grand Hall has been turned into a meeting room and several old Pullman railcars have been repurposed into rooms that are available for rental. Removed from downtown Indianapolis, this contemporary hotel is connected to the Fashion Mall at Keystone, which means you won't even have to hop in your car if you need to go shopping. 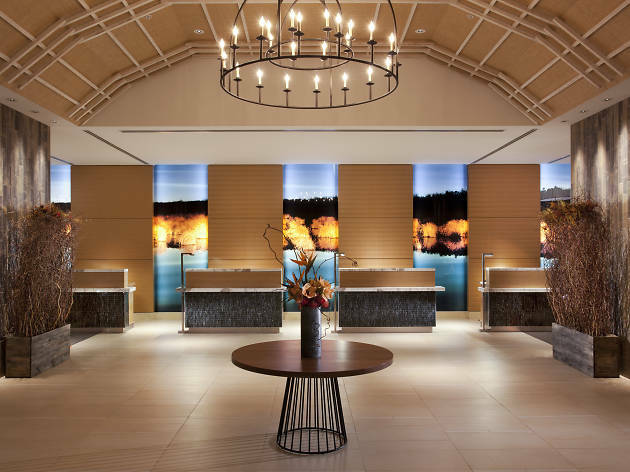 Amenities include a fitness center, rooms outfitted with views of the nearby White River and a hotel restaurant. 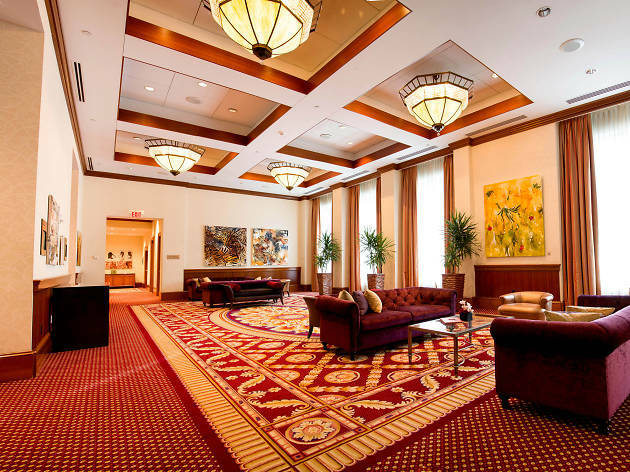 Of course, you can also hang out in the Sheraton's lobby, which features hanging lighting and plenty of places to sit back and relax during your stay. 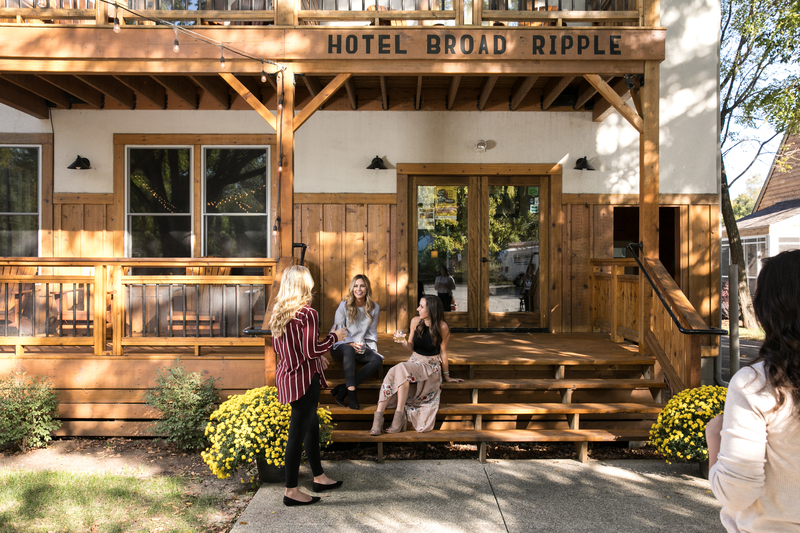 Removed from the hustle and bustle of downtown Indianapolis, Hotel Broad Ripple offers contemporary lodge accommodations in one of the city's most popular neighborhoods. Visitors stay in private rooms but are encouraged to enjoy the hotel's gathering areas, which serve wine in the evening and a complimentary continental breakfast in the morning. 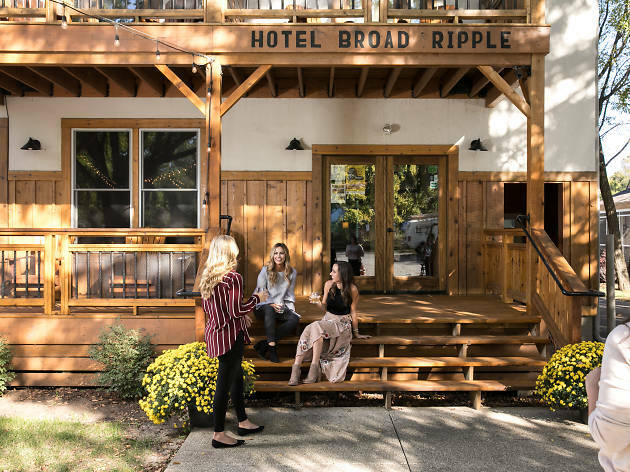 The cozy, cabin-like boutique hotel is just a short walk away from coffee shops, restaurants, brewpubs and the 18-mile Monon walking, running and biking trail. 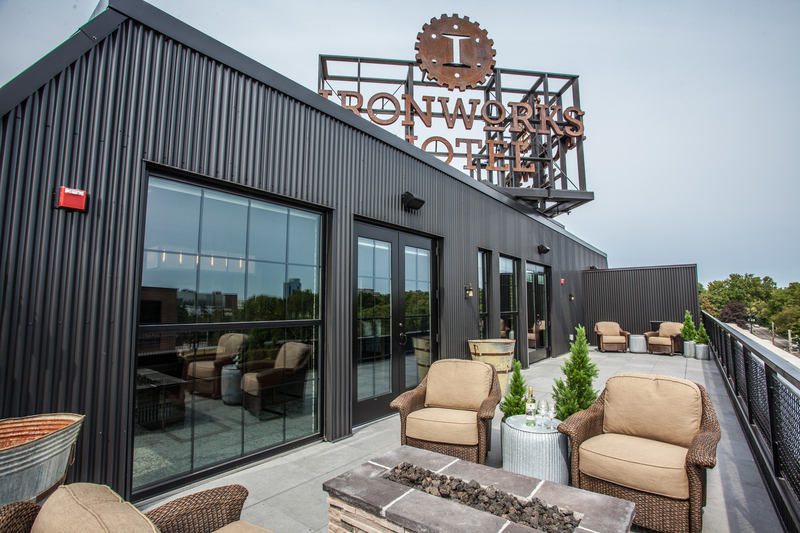 Indianapolis may have once been mockingly known as Naptown to its residents, years ago, but over the last decade the city has quietly become one of the hippest destinations in the Midwest. In fact, there’s so much going on in the city, you might just need a nap at to recover. 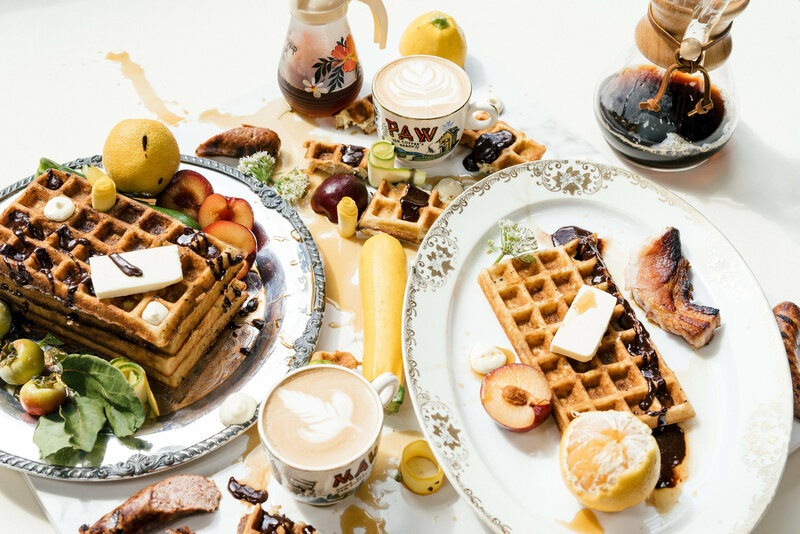 Indy's growing food scene has stirred up attention, with pop-up dinners and food events taking place around the city, and top chefs and restaurants getting noticed by the James Beard Restaurant & Chef Awards.